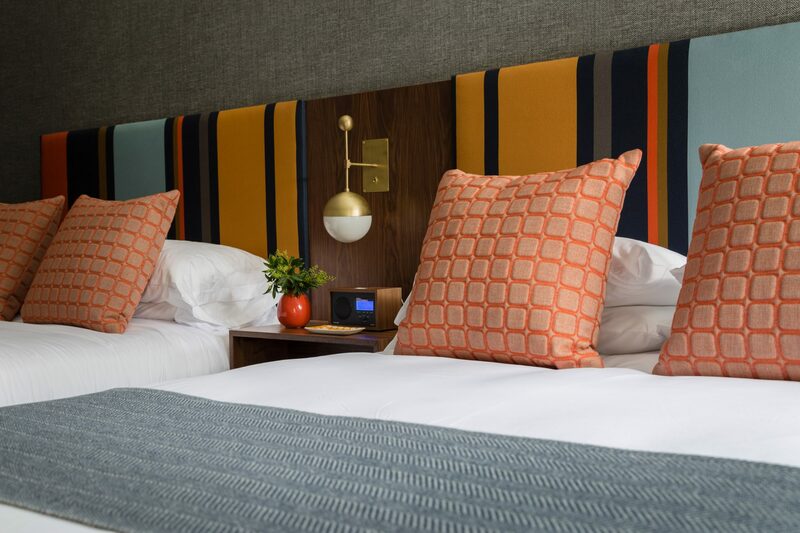 Introducing The Hotel Salem, a one-of-a-kind accommodation on the North Shore of Boston. This 44-room boutique Salem hotel will open on the bustling Essex Street pedestrian mall in the fall of 2017. 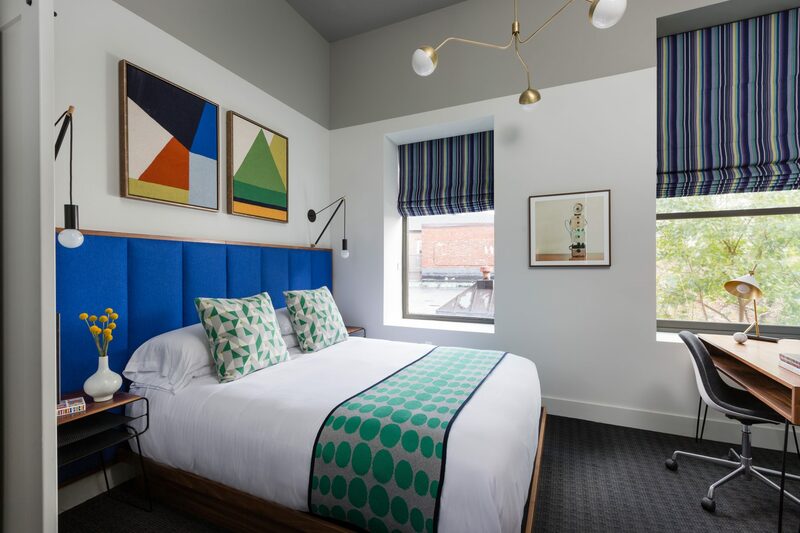 Newly reimagined and renovated with a stylish mid-century vibe, our Salem MA hotel offers a central spot for exploring the North Shore. Located in the heart of Salem village in the town’s pedestrian mall, The Hotel Salem is a quick stroll to boutiques and novelty shops, and a short drive to numerous attractions and activities. Gather with friends in our designer Salem MA hotel guest lounge. 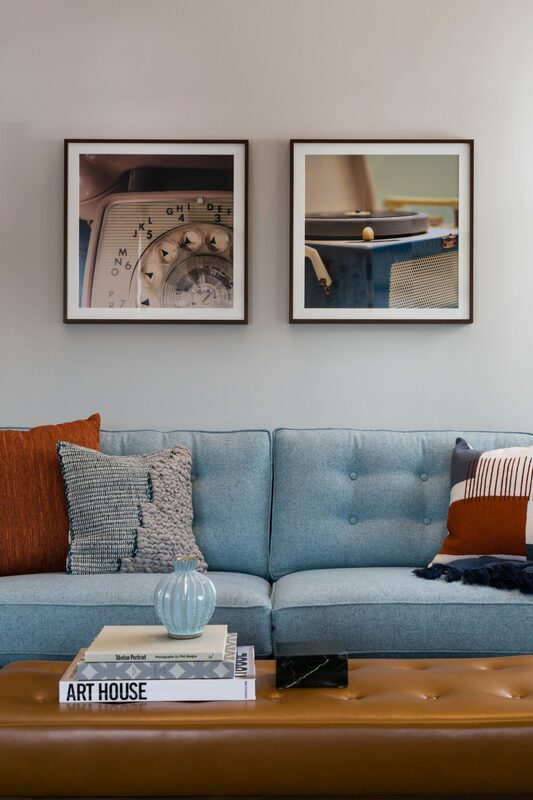 Challenge your traveling companions during our midweek shuffleboard tournament, kick back with a book, peruse our collection of vintage retail items and art, or simply settle in at our restaurant, Counter (978) 451-4818, for a great meal. Our (seasonal) rooftop bar (opening spring 2018) makes for the perfect remedy after a long day of retail therapy or exploring Salem and the North Shore. The Hotel Salem offers 44 bright, modern Salem accommodations from rooms, to spacious suites, to micro-rooms for the budget conscience. All of our Salem MA hotel rooms feature private baths, free WIFI, and a variety of other amenities to appeal to the discerning traveler. We look forward to welcoming you and helping you to discover the best of Salem.